The renovations and modernization taking place at The Oasis at Death Valley in California represent a unique challenge. Change doesn’t come quickly in Death Valley National Park. Here, where geological time remains the standard, human impacts are minimal and the landscape is seemingly eternal. So the renovations and modernization taking place at The Oasis at Death Valley in California, formerly Furnace Creek Resort, represent a unique challenge. How do you take such classic destinations as The Inn at Death Valley and The Ranch At Death Valley into a new era of sustainability and guest comforts while also maintaining the experience that generations of travelers have come to cherish? That’s the question that Rebecca Stone and Chris Vandall of Denver’s OZ Architecture faced as they took on the job. Arriving in the area and seeing The Inn at Death Valley, the two architects immediately understood just what a unique project they were embarking on. As iconic as the inn may be, the 1927 hotel was due for significant upgrades to both public spaces and all 66 of its guestrooms. In addition, the project created 11 two-room casitas and a new spa, as well as such enhancements as cabanas and a café by the famous spring-fed pool. The architects also wanted to improve the visitor arrival experience by creating an outdoor space with a garden and fountain to replace the existing auto court. Taken together, these developments represent the biggest changes to the inn for several generations. Even so, the architects aimed to make the inn a better destination, not transform it into something different. And with that challenge came a rare opportunity to enhance the inn’s eco-friendliness. While certainly historic, the inn is not designated on the National Register of Historic Places. That gave Stone and Vandall a bit more flexibility, though by no means carte blanche to make major changes. Improved insulation and windows to reduce energy loss. The use of paints, sealants, carpeting, and composite wood products that limit indoor air pollution. Low-flow plumbing fixtures and greater irrigation efficiency so that there will be no net increase in water usage. Low-wattage and energy-efficient lighting installed in a way to preserve the dark night skies so famous for stargazing. Because the character of The Ranch at Death Valley is so distinct from the inn’s, the architects were really working on two properties, not one. The Oasis at Death Valley in Furnace Creek is situated in a lush oasis surrounded by the vast and arid desert of Death Valley National Park — just 120 miles northwest of Las Vegas and 275 miles northeast of Los Angeles. 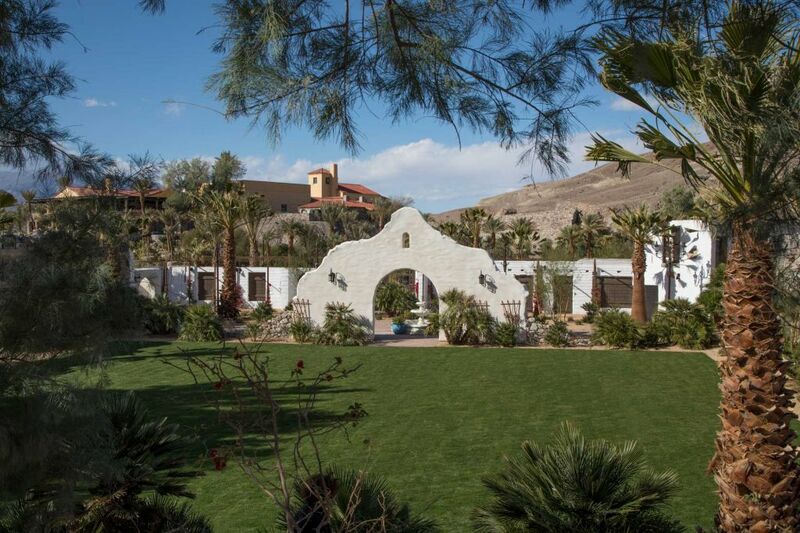 The resort encompasses two hotels — the historic AAA Four Diamond, 66-room Inn at Death Valley and the family-oriented, 224-room Ranch at Death Valley. The entire resort is undergoing a complete renaissance with an extensive renovation to be completed in the spring of 2018. The resort includes natural spring-fed pools, an 18-hole golf course, horse and carriage rides, world-renowned stargazing, and is surrounded by Death Valley National Park’s main attractions. 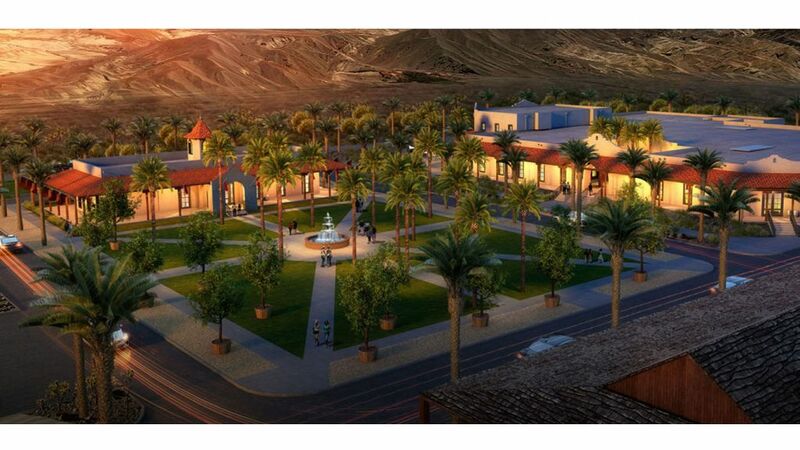 For information and reservations, visit The Oasis at Death Valley or call 800-236-7916. For more travel experiences to Beautiful Places on Earth™ available from Xanterra Parks & Resorts and its affiliated properties, visit xanterra.com/explore.